Term 1 is always a very busy time of year, and a personal favourite of mine is the excitement around House Dance. 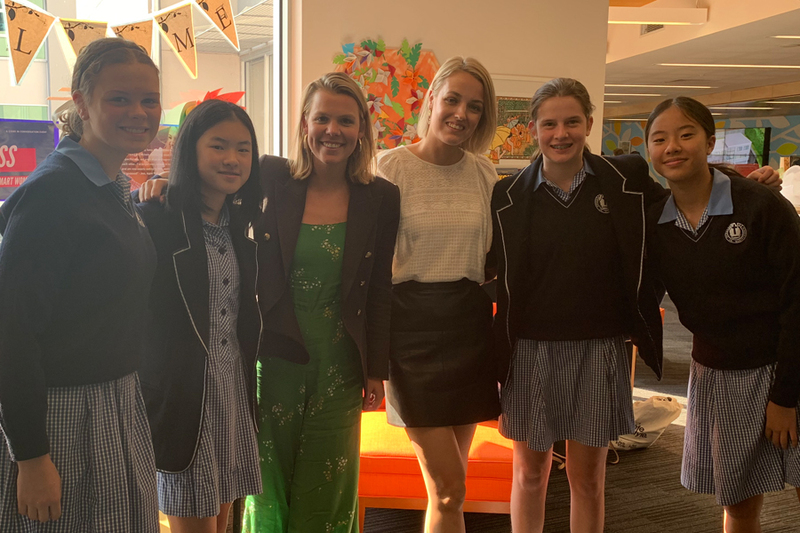 Seeing students involved in all House activities is a big part of life at CGGS and a highlight that so many students reflect on, even once they leave the school. I think the joy of dancing and the music that has been filtering throughout the school during the many rehearsals, only assists in raising excitement levels for all concerned to be a part of the performance evening. Tonight I look forward to seeing everyone perform and I will join with some toe tapping from my seat! 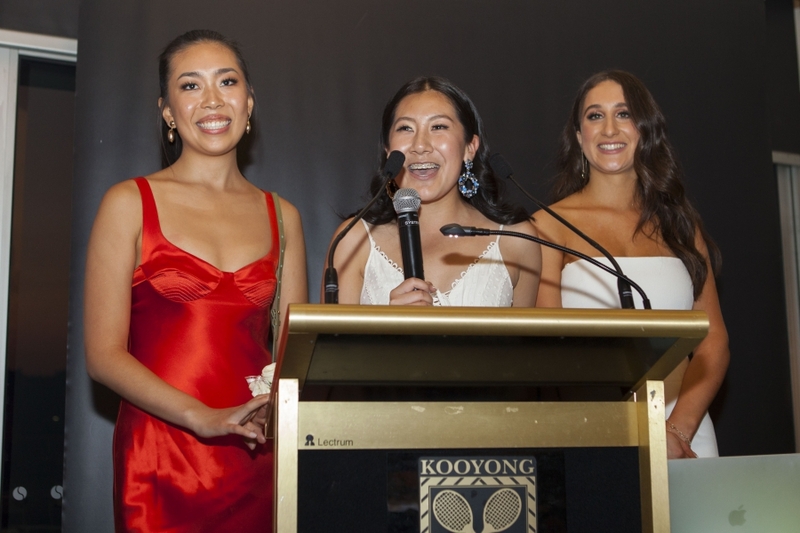 Last Saturday myself, Mrs Dunwoody, Mrs Robinson and a number of other Year 12 teachers went to the Year 12 Formal held at Kooyong Tennis Club. Every year I look at how beautifully presented our most senior students are on this evening and take a moment to reflect on their journeys, as I recall their Year 7 selves. A special thank you to Mrs Robinson, who described the night as “awesome!” for her wonderful planning. 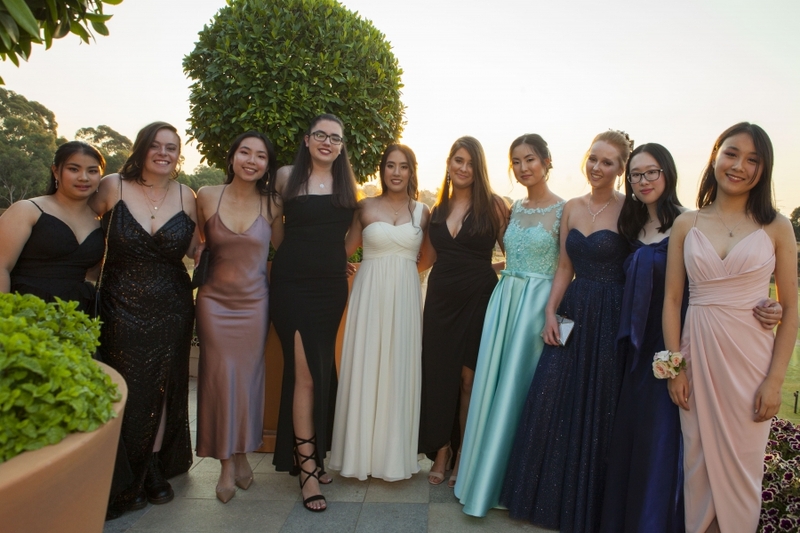 Everyone looked wonderful and both the Year 12 students and their partners carried themselves magnificently throughout the night. We are very happy to share with our community that this year, we again have a student who has achieved recognition in the 2019 Simpson Prize Competition. This is an outstanding personal achievement, as Holly Williams (Year 10) was selected as just one of the two student winners from Victoria in this National competition. The Simpson Prize is a national competition for Year 9 and 10 students. 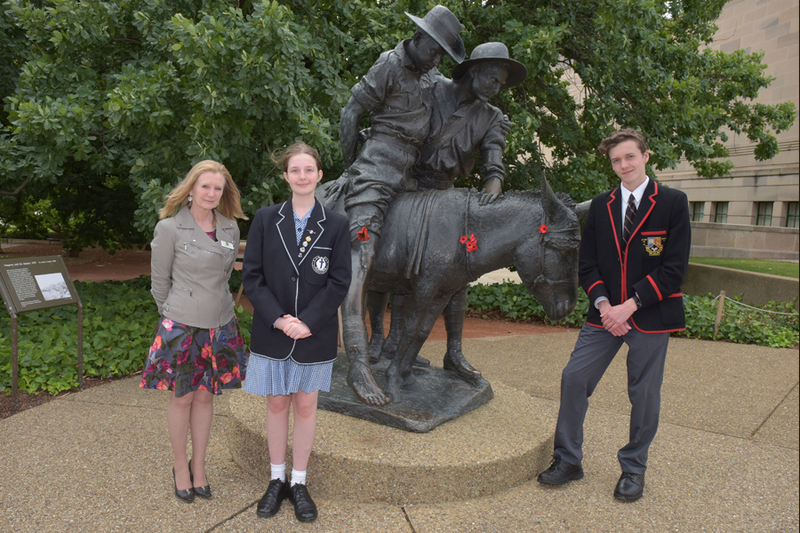 The competition encourages participants to explore the significance of the Anzac experience and what it has meant for Australia. The Simpson Prize asks students to respond to a question in the form of an essay. This years question was, “To what extent could 1918 be considered a year of victory for Australia and its people?” They are encouraged to agree, to debate and to challenge the question. Holly’s response was outstanding and therefore she was the lucky recipient of this prestigious prize. 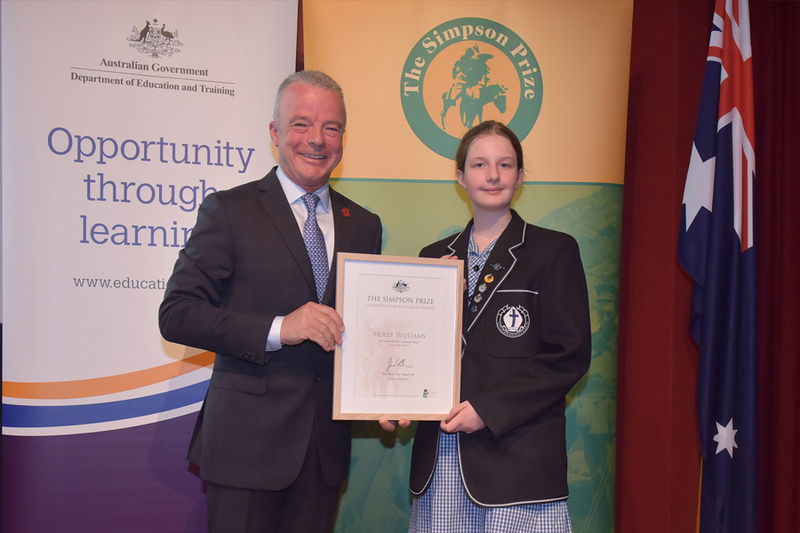 Holly was honoured to represent CGGS during her recent study tour to Canberra as part of the Simpson Prize. The highlights of the trip were the visits to the Australian War Memorial, the National Portrait Gallery and the Australian Defence Force Academy. During her trip she was fortunate enough to be granted access to the AWM Treloar Centre, where we saw the ongoing preservation efforts of large historical items. 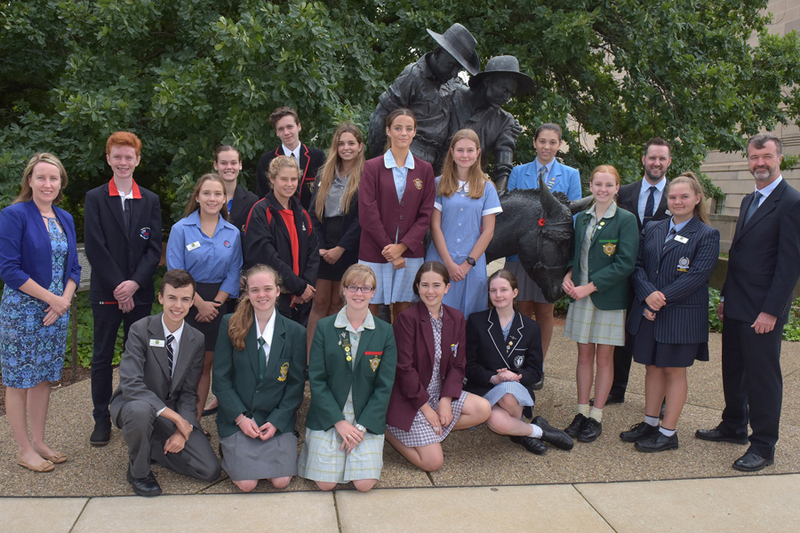 The trip brought to life the Anzac Spirit, through the collection of artefacts and the living legacy continuing through ADFA. On 13 March, Camberwell Girls Grammar School was very privileged to have two well known Australians visit the Senior School. Mathematics teacher, writer and TV host Eddie Woo and culinary activist, writer and ex-Masterchef contestant, Alice Zasvlasky. Both were onsite to film the first episode of Alice’s new season of ‘Phenomenom’, her online TV show which aims to teach primary school children from grades 3-6 about the food they are eating and the basics of food preparation. Eddie was the guest on the show! As well as busily working away and filming in the newly refurbished Science lab in the Year 9 area, we also had an opportunity to meet these two ‘phenomenons’. I was honoured to introduce these two amazing teachers, before Eddie showed us a really cool card trick, explaining the mathematics of how to correctly guess a card that someone else has chosen without knowing the number. We then had a chance to ask Eddie and Alice about their careers, as well as some questions related more-so to our school lives. We then had the opportunity to get photos with the two and get absolutely anything we wanted autographed- yes, that included calculators! The community of Camberwell Girls Grammar School was so fortunate to meet Eddie and Alice and we know that their time at our school was definitely memorable, and I was so honoured to meet my idols. On 12 March we held another Parent Education Seminar, this time hosted at Camberwell Grammar School. Andrew Fuller is an annual speaker at our seminar series and is well known for being approachable and for delivering his subjects in a very relatable and informative manner. At this session he guided parents from both schools through the key active ingredients that build resilience from within a family context. While there are no handouts from the evening, I would encourage you to visit Andrew’s website as there are free resources there for both parents and students, which you may find valuable. 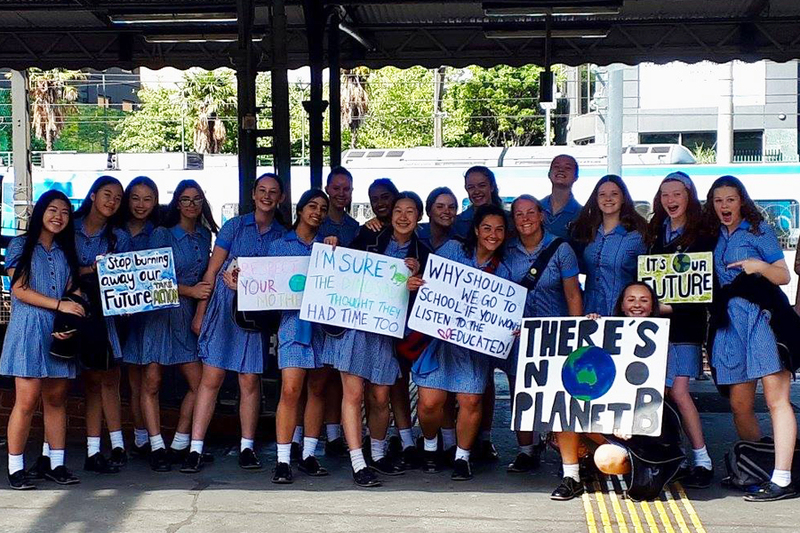 On 15 March, 150,000 students and supporters, including several Year 8 – Year 12 students from CGGS, walked out of classes around Australia to protest the government’s inaction on climate change. Being too young to vote, we needed to find a way to have our voices heard by politicians, and the school strike definitely got their attention, being covered on every news site and across social media. While some politicians suggested students strike “on the weekends or after school”, we felt that while it was inconvenient for us to miss our classes, it was important to protest during school hours because, as we saw, this would gain the most attention and begin conversations about climate change. 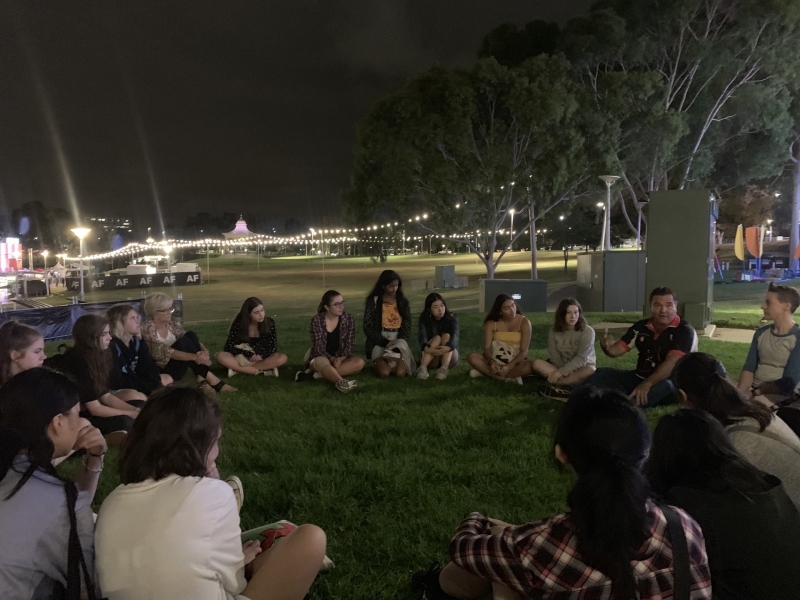 It was so amazing to see so many girls from CGGS, and students from over 100 countries, who are so passionate about the issue of climate change, and who will go on to be future world leaders. Did you know that 1 in 4 Australian women have experienced some form of emotional abuse since the age of 15, by a current or ex-partner? This is in Australia alone, on a global scale the issues women face are even larger. 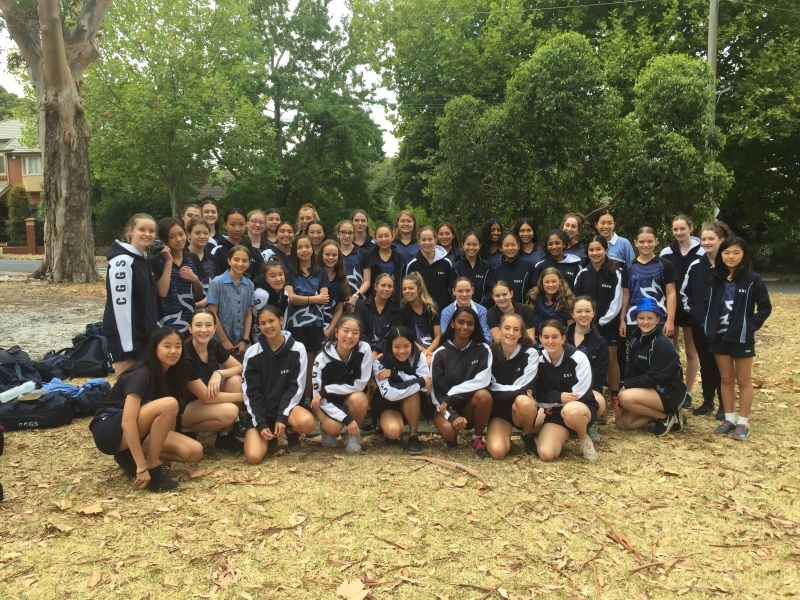 This year CGGS was invited to participate in Melbourne Grammar’s UN Walk for Women, where we joined over 10 other schools for a walk around The Tan to raise awareness and funds for UN Women. It was great to see amazing numbers from every school participating. We had just over 30 extremely enthusiastic girls from CGGS come along to this great initiative that is so relevant in today’s world. The event was followed by a sausage sizzle with live music, creating a wonderful atmosphere to catch up with friends from other schools. The UN Walk for Women was truly a wonderful event to be a part of. Holly in Year 12 said “I loved seeing everyone walking together, a massive trail of girls and boys from all over Melbourne walking together to support women!” This is a wonderful reflection of the impact we can have on the world around us. The opportunities that CGGS provides to all girls opens our eyes to the world outside our school. This not only helps the girls to be the change they want to see, but also gives them opportunities to find issues they are passionate about and the platform to do something about it. Events like this assists us in achieving our school moto, Utilis in Ministerium – Useful in Service. 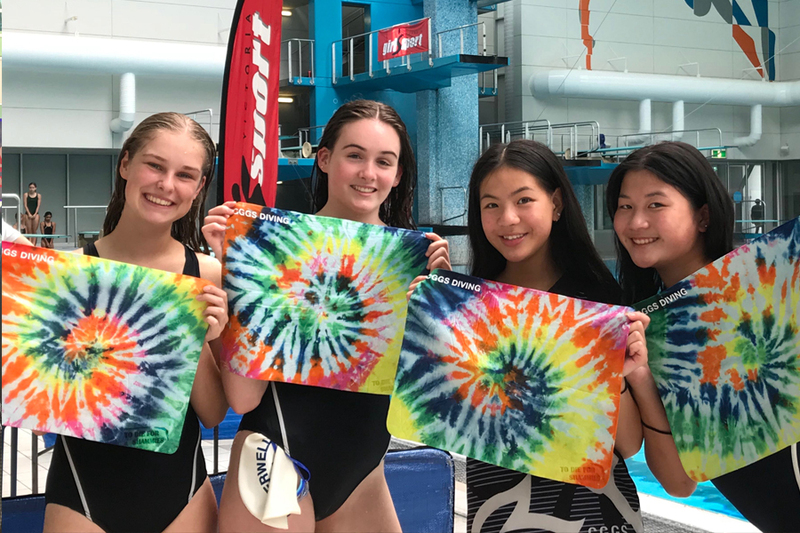 Commencing on 7 March, Emily Price (Year 7), Ella Robertson-Brown (Year 8) and Anabel Car (Year 11) attended a week long swimming competition where they participated in the Tasmanian Long Course Swimming Championships in Hobart. This meet is the culmination of the Long Course Season which runs from October 2018 up to and including this March carnival. Ella achieved a Top 25 Australian Rankings as a 13yr old for her 1500m freestyle. Ella also made it into the Top 10 for Swimming Victoria in the 800m freestyle and 1500 freestyle for her age group; and also placed in the Top 25 Victorian open age for the 1500 freestyle. Emily Price was in the 100 breaststroke final (2nd place) and Anabel competed in 3 backstroke finals (50m, 100m, 200m). Congratulations on your achievements Emily, Ella and Anabel. It is so lovely to see your dedication to your swimming. 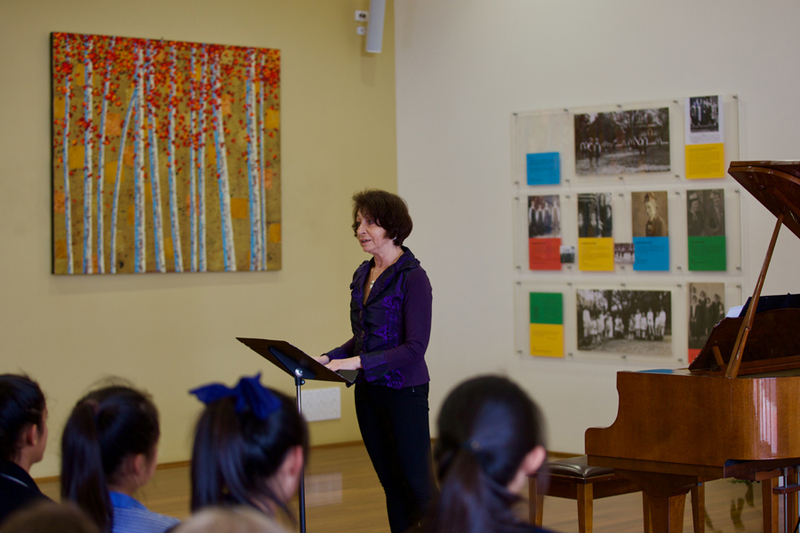 The Elisabeth Eschwé piano recital on Wednesday 13 March was a delightful way to conclude the school day. 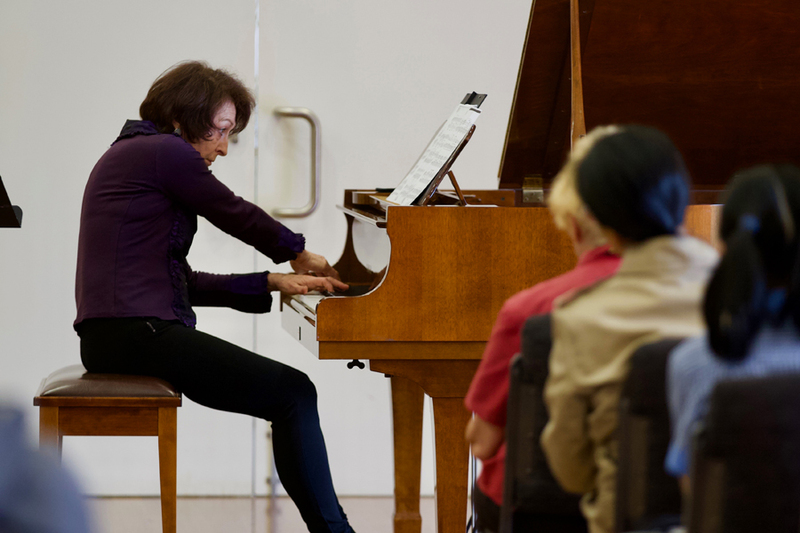 Elisabeth, a leading teacher of piano at a range of Viennese Music Schools, took the audience on a creative journey through the life and creative work of Clara Schumann; one of the very few female composers during the Romantic Era. Elisabeth shared her in-depth knowledge of performance skills with the audience and a deep insight into the Romantic works she performed. The piano recital incorporated a recitation of fascinating extracts from letters and diaries, bringing to life the creative world in which Clara Schumann lived and the artists she associated with. We look forward to celebrating the 200th birthday of this significant German musician and composer on September 13 this year. We are delighted to share a student’s reflection from this inspirational performance. 2019 marks the 200th birthday of German musician and composer, Clara Schumann. Not only was she one of the most significant pianists of the Romantic Era, she was also one of the very few female composers during that time. 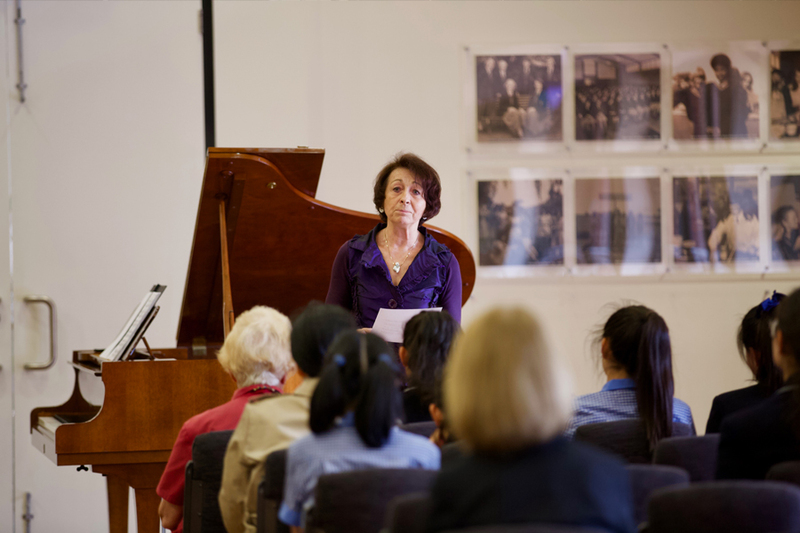 To celebrate CGGS was fortunate to welcome Elisabeth Eschwé, Viennese pianist and expert teacher of piano, to our school who brought some of her works to life. Elisabeth did so marvellously, by incorporating expressive recitations of extracts from letters and diary entries of Clara’s. Elisabeth’s ‘scenic recital’ also gave insight into the life and music of Robert Schumann and Johannes Brahms. As an audience member, you could easily capture the thoughts and connect with feelings of these composers through the different pieces and their different tone colours, key signatures and tempos. It was a wonderful afternoon and thank you to Elisabeth Eschwé for her beautiful performance! On Friday 8 March, we acknowledged and celebrated International Women’s Day in a variety of contexts. 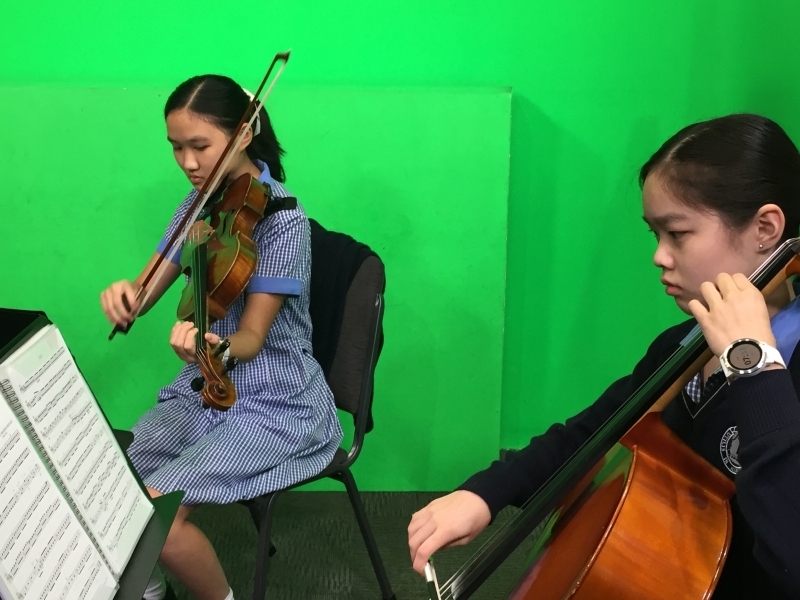 Whilst students, staff and parents were attending the International Women’s Day Breakfast, a group of Year 9 musicians were involved in an early morning recording session in the school’s T.V studio. The Music and IT Departments are currently updating music audio tracks for the school’s ‘on hold’ facility within the phone system. 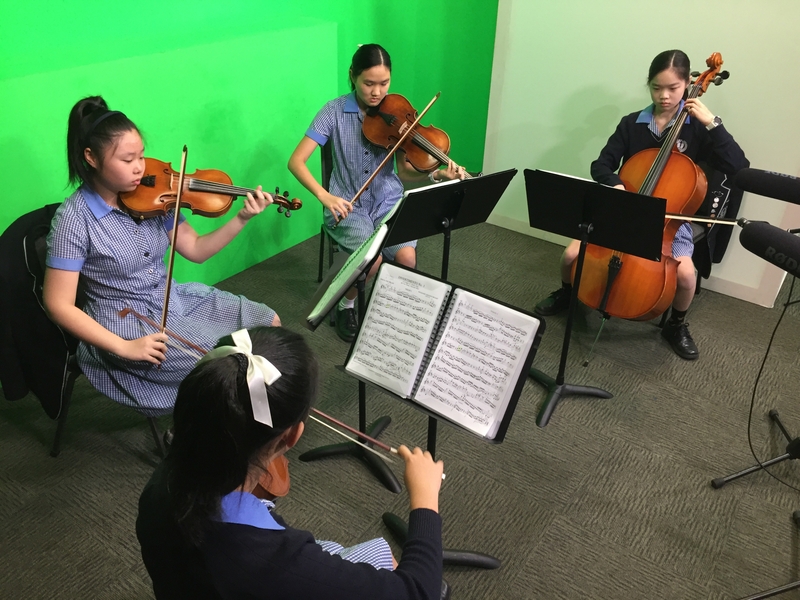 Megan Kuo, Nicole Chang, Sarah Hui, and Chloe Law (led by Quartet Ensemble Director Margaret Butcher) worked with Audio Technician Mark Major to record live performances of their quartet repertoire. This immersive experience provided the students with the opportunity to think critically, collaborate creatively and contribute to the recording process. Ensemble balance, expressive elements, microphone techniques, multiple recording takes, sound mixing and problem solving strategies were essential components the students actively engaged with throughout this ‘real-world’ recording session. Many thanks to all who made this recording session possible. We hope you enjoy listening to our student musicians if at some point you find yourself ‘on hold’ when communicating with the school via phone. What an emotional rollercoaster for all that attended. From laughing our heads off one minute to being reduced to tears the next, we witnessed acrobatic performances, sound/visual effects and stunts that left us gasping in awe. We saw shows that moved our souls and provided a much needed reality check, together with scenes that left us deep in thought long after the lights went out at bed time. 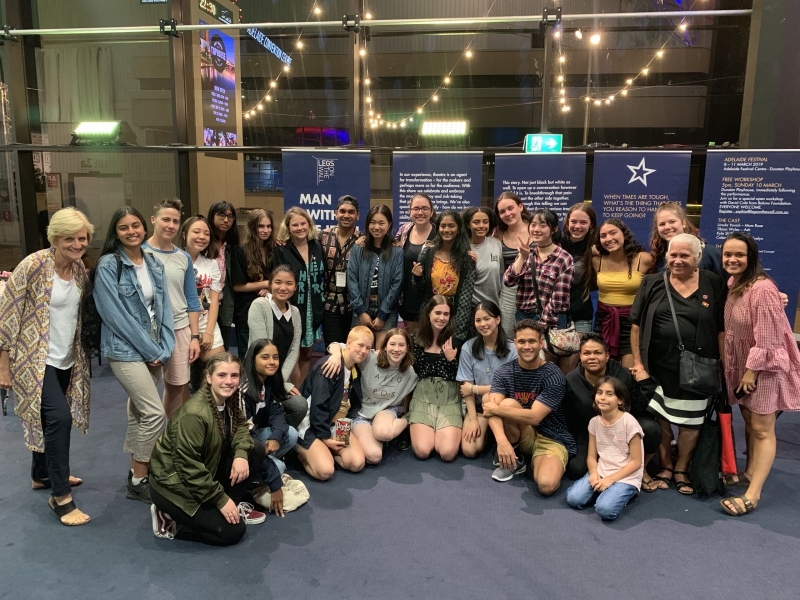 This year, on the Labour Day weekend, 21 students from Years 10 to 12 together with Mrs Caruso and Ms Lyons embarked on a journey to the Adelaide Fringe Festival where new concepts and ideas in the world of theatre are explored, exhibited and celebrated. We saw 9 unique shows, all different and some even “shocking” in their own right. Ideas presented to us in each show established the importance of connections – whether it be between the performers in the show, performers and the audience, or the audience members themselves. On Drama Camp, I learnt that theatre is not always a performance done on a stage with a storyline and multiple characters. In fact, barely any of the pieces we saw followed that technique. Each one of the theatre performances tied us into its story and hooked us in till in very end. In some, words weren’t even necessary. We interpreted each piece differently and made our own meaning to the characters, layout and storyline. We connected with the actors through emotions such as love, loss, pain, thrill and fury. As an individual, I have much more of a knowledge as to the ‘should and should nots’ when it comes to acting and producing a piece of theatre. However, it goes without saying that drama is a very open space. It allows people to become whoever and whatever they desire, in any sort of place and that’s what makes it so amazing. Apart from the visual theatres itself, I’m sure I speak on behalf of the Drama Camp students when I say that every one of us connected with people we didn’t think we would ever talk to. It was great ‘goofing around’ with the Year 11 and 12 girls. As a whole group, we specially connected over the final performance of our trip. With most of our faces drowning in tears, there was however a feeling of hope and gratitude towards life. I would have undoubtedly regretted not experiencing this journey with (as Ms Lyons likes to call us) the ‘Radelaidians’. 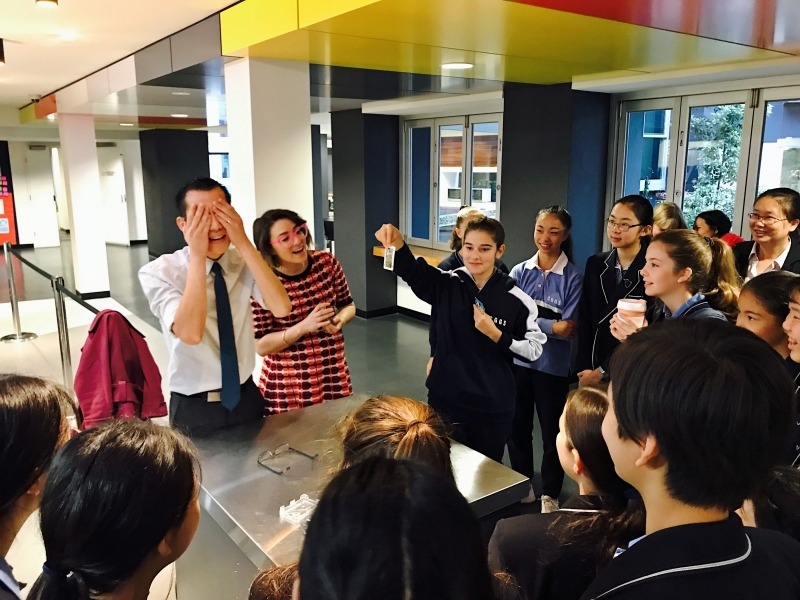 On Wednesday March 13 the Year 10s attended their first mentoring breakfast. Mentoring has been identified both as an important tool and an effective way to gain skills via knowledge transfer from an experienced student/OGA to a fellow student at key moments in their education or at the start of their career. The theme for this event was ‘Broadening Your Horizons’. During the breakfast, Lucy Bartram (Year 12) and Michaela Robinson (Year 11) spoke to our Year 10 girls on why getting involved in school co-curricular and other activities is so important. Combined, Lucy and Michaela have considerable experience and expertise which they shared with our Year 10s. They spoke about how their involvement in Duke of Edinburgh, GSV Sport, Tour Guides, volunteering, their service-learning trip to Cambodia and as Sports Captains, has helped them improve skills such as leadership, organisational, time management and interpersonal skills. They believe participation in these activities contributed to their own personal growth and certainly grew their skills portfolio. With more institutions requesting evidence of these types of activities as part of their selection criteria, it is extremely important that students get involved in out of classroom activities. ANU have scholarship applications seeking corroboration of a student’s commitment to making a difference to others. Monash Community Leaders Scholarship also asks for students to demonstrate similar attributes. With employers asking for students to demonstrate enterprise skills such as communication skills, leadership and problem solving skills – it is clear that Lucy and Michaela are fine examples of what our Year 10 students can aspire to achieve if they take advantage of the wealth of opportunities presented here at CGGS. These skills/experiences they develop at school will help them in the transition from school to part time employment; from school to university and from school to a career path. Thanks to the support of the OGA, the students were able to enjoy a wonderful breakfast while listening to this valuable presentation. 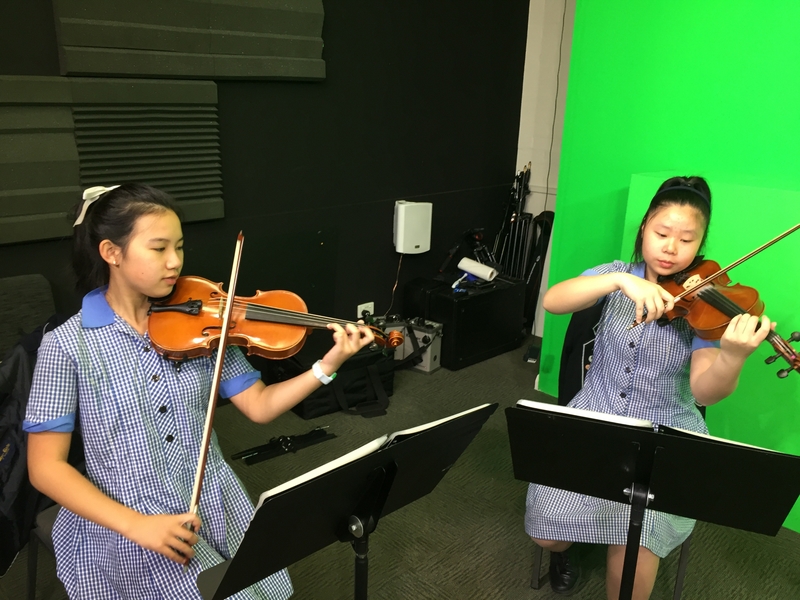 Both students delivered the same message: make the most of the opportunities available to you here at CGGS. 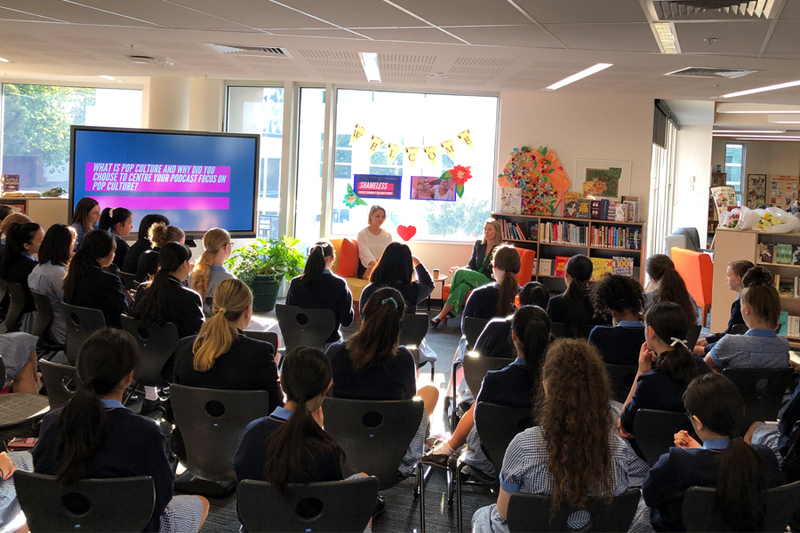 The English department were delighted to host Melbourne journalists, Michelle Andrews and Zara McDonald of the Shameless Podcast to join our Year 9 students in a Q&A event in the CGGS Library. 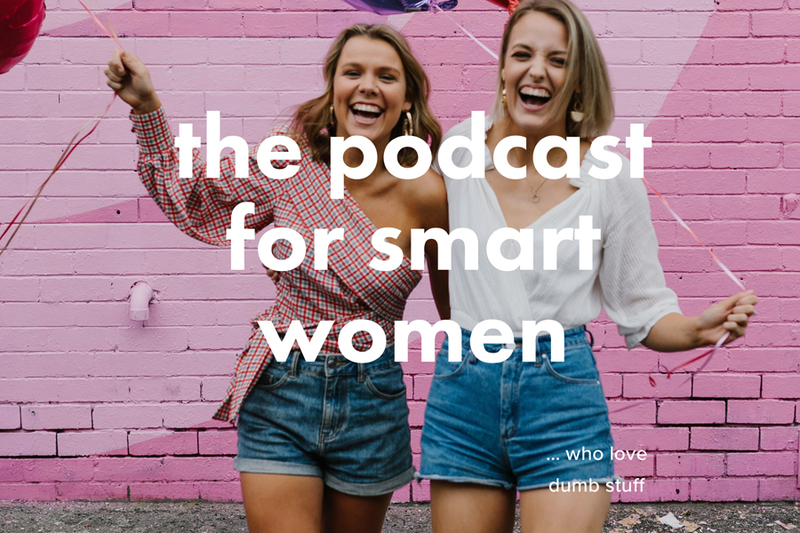 Women in Australia cannot get enough of the Shameless Podcast. In fact, what started as a podcast a little over a year ago has morphed into what can only be described as a large, glorious community of individuals that has been cultivated as a result of this dynamic duo. In their one year on air, Shameless has been downloaded 1,000,000 times, has been named in Apple’s ‘Best of 2018’ podcasts, written about in The Age and Marie Claire and awarded an ‘editors pick’ spot by Spotify. 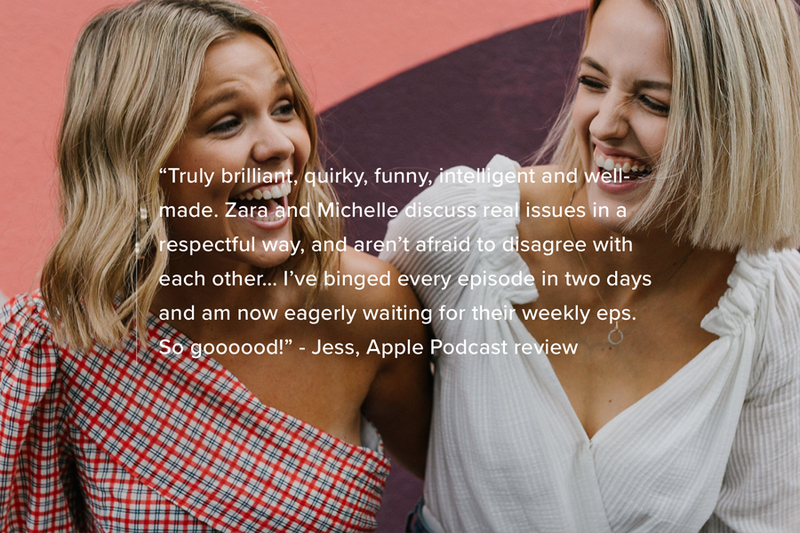 Michelle and Zara eloquently, articulately and respectfully navigate through topics that are real, pressing and topical in the world of pop culture and beyond. They believe that pop culture and the media cycle is important but feel that women’s voices are all too often excluded from it. CGGS believes that the duo is a wonderful voice for culture and shaping the conversation in Australian media today, and we were thrilled to engage in a discussion about a diverse number of issues surrounding the media landscape such as fake news and feeds, integrity and the power of a woman’s voice. After a wonderfully engaging session our girls are still buzzing a week on. 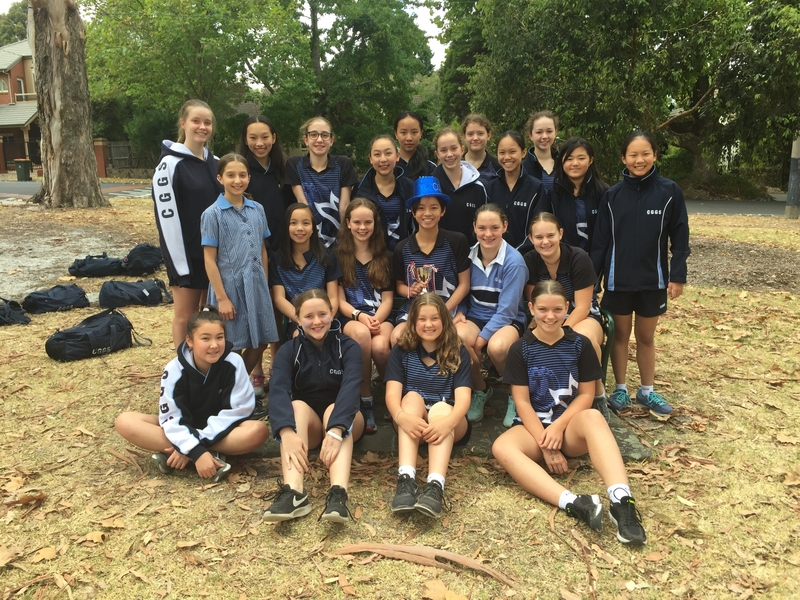 On Tuesday 19 March, the CGGS swimming team participated in the Division 3 GSV swimming carnival. It was a bright and early start for all the girls who had to meet in the gym at 6.45am, however everyone approached it with a positive attitude. The day was filled with a clear sense of team spirit, right from the warmup to the end of the last freestyle relay. The girls in the stands cheered on their peers throughout the morning and a few girls got right into it and even dressed up in blue. The girls all gave 100% in every one of their races and there were many great results achieved in the pool. The morning ended with excellent results, with the Juniors coming 1st in their age group, the Intermediates placing 5th and the Seniors placing 6th against the other 7 schools competing in division 3. CGGS also came 2nd overall, which is an amazing result. The girls should all be very proud of how well they performed on the day! 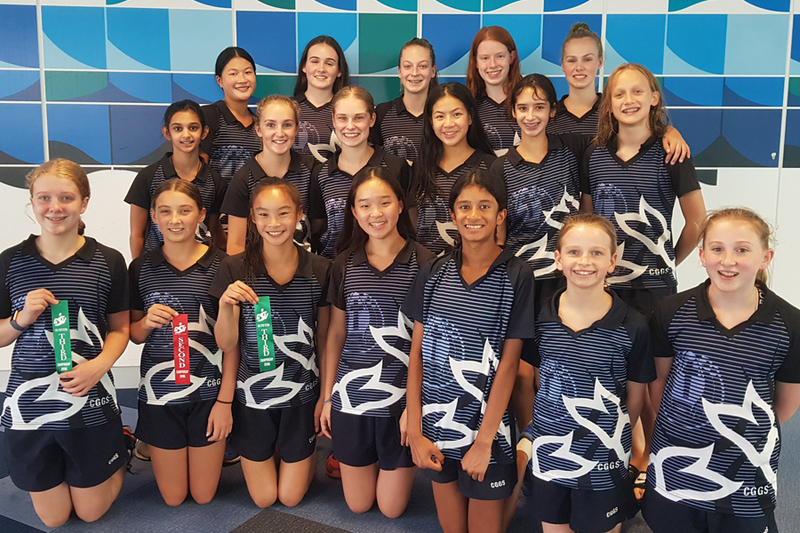 On Tuesday 19 March, 18 CGGS divers competed in the Division 2 GSV carnival. We were extremely proud to have qualified for Division 2 once again as we have progressed so much over the last 5 years in our diving program. We were particular proud of our juniors who have developed their skills over the past 2 years and all the year 7 students who gave it a go for the first time this year. The junior team achieved an outstanding result of 2nd overall. Our Intermediate and Senior competitors produced a solid performance of coming 6th and 4th overall respectively. We would like to send a big thank you out to our coaches Jenny and Morgan who have been with us for many seasons now and have helped us develop into a strong competitive force within the GSV diving competitions. We look forward to continuing training in term 4 in preparation for a great 2020 season. I wish the CGGS community a lovely weekend.